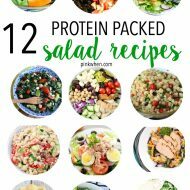 There are so many different Mason Jar ideas. I am even a member of two boards on Pinterest that devote the entire board to Mason Jars and the things you can do with them. 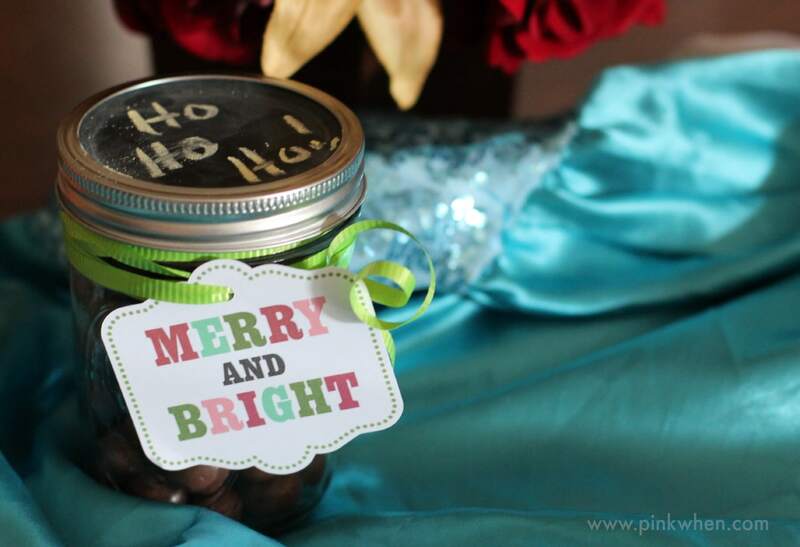 I love this mason jar gift idea, it’s one of my favorites and can be used for so many different occasions. 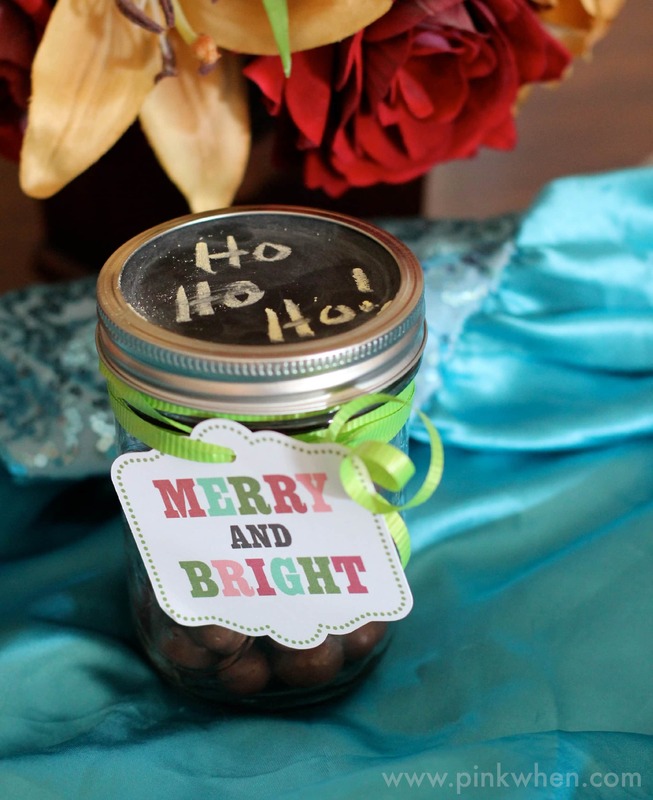 This chalkboard mason jar gift is super simple to make and a fun gift to give. To get started, grab yourself a Mason Jar at one of your local craft or grocery stores. You can literally find these everywhere. Just make sure you grab the ones with the canning lid so you can take the top piece off for the chalkboard paint. To get started, remove the lid from the Mason jar and then separate the top pieces. You will want to place the lid on a covered surface and then cover with Chalkboard paint. 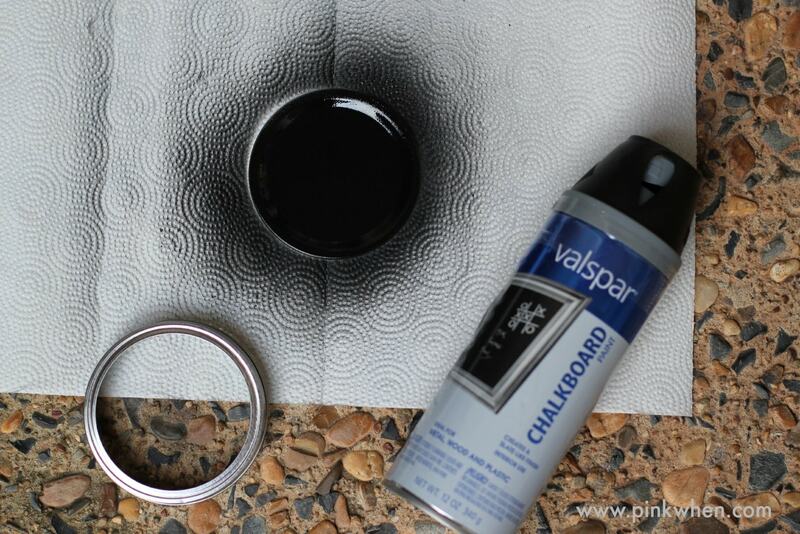 I found it easier to use this Chalkboard paint by Valspar, but you can use any chalkboard paint you might have on hand. Once you have the lid painted, allow it to dry. Prime it with chalk (rubbing chalk all over it and then wiping it off) and you are all set and ready to go! These make the perfect gifts for teachers. Or even a great Christmas gift. There are so many options to choose from! 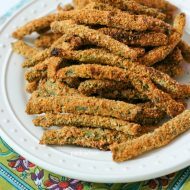 These are super easy and fun to make. Do you like to make Mason Jar crafts? 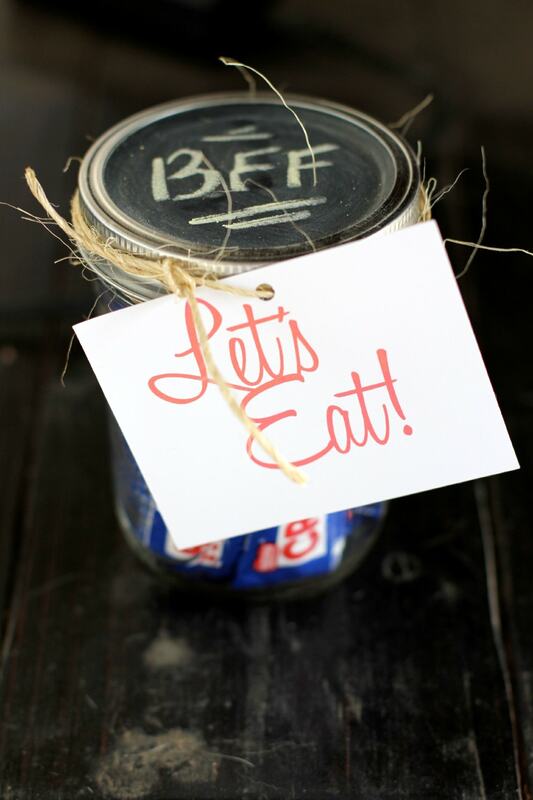 Have you ever made a Mason Jar craft before? 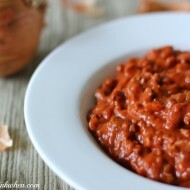 If not, this is the perfect one to get started with! 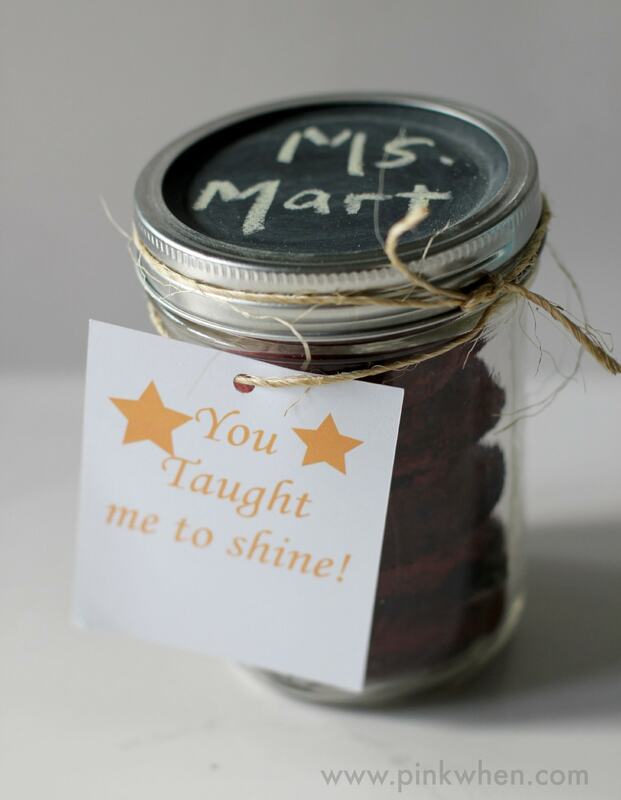 I hope you enjoyed this Chalkboard Mason Jar Gift Idea, and if you make one share it with me on my Facebook page!